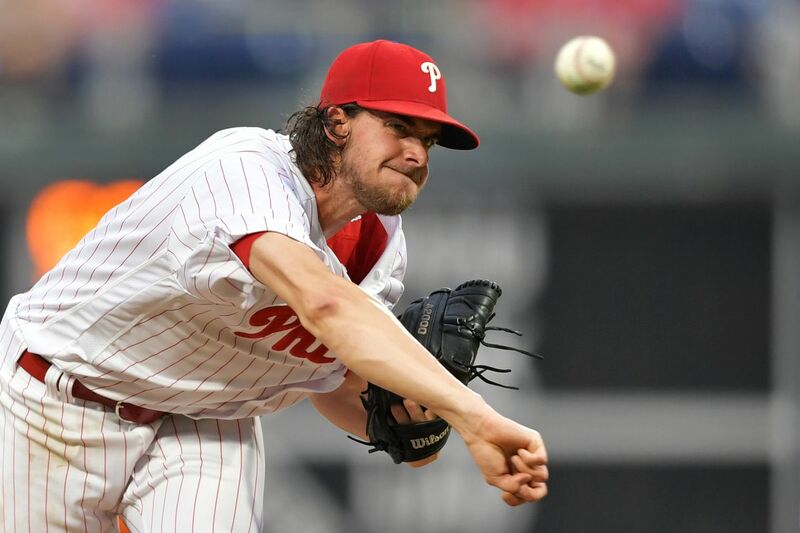 PHILLIES ACE AARON NOLA A CY YOUNG FINALIST! He was named a finalist for the 2018 Cy Young Award, presented annually to the best MLB pitcher in each league. Nola started 33 games this season, posting a 17-6 record with 224 strikeouts. A 2018 NL All-Star, Nola was second in the league in ERA (2.37), third in innings pitched (212.1) and third in WHIP (0.97). 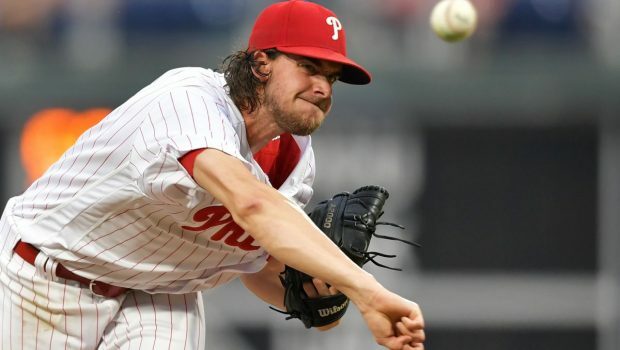 Joining Nola as National League Cy Young Award finalists are Jacob deGrom of the New York Mets and Max Scherzer of the Washington Nationals. The BBWAA will release its annual award winners on the MLB Network over four days, starting on November 12. Each day’s show will begin at 5 p.m. CT.
Nola, a Baton Rouge native, was selected out of LSU by the Phillies in the first round (seventh overall) of the 2014 MLB Draft. The right-hander was the 2014 College Baseball Foundation National Pitcher of the Year and a Golden Spikes Award finalist. Nola enjoyed a brilliant three-year (2012-14) career at LSU, compiling a 30-6 mark and a 2.09 ERA in 332 innings with 42 walks and 345 strikeouts. He was a two-time first-team All-American, and he is the only two-time winner of the Southeastern Conference Pitcher of the Year award, receiving the honor in both 2013 and 2014. Next SIXERS ARE ONLY 6-5 BUT MOVE TO TO 9 IN NBA POWER RANKINGS!